Day one: Finally, I land in Cairo, Egypt. At the airport, my tour agent is waiting for me and helps me clear with immigration and we head off to my hotel. Cairo is a modern city that has breathtaking views and very friendly people. It is also a major tourist attraction destination. I have 5 days to explore this city and I cannot wait to get started. I love history! Day two:After having a filling and delicious continental breakfast, my tour guide promises to take me to all the major tourist attraction sites in Cairo. We first head off to the famous Egyptian Museum. The famous collections here include the golden mask of Tutankhamun, the Egyptian pharaoh, who started ruling from a tender age of nine. I also get to see the mummies of other pharaoh. Weird, but once in a lifetime opportunity. The mummies are obviously inside a carved stone coffin called a sarcophagus. The Egyptian museum is a must go for every tourist. The museum holds thousands of masterpieces and every morning hour I spent there was definitely worth it. In the afternoon, just after lunch, I am taken to the outskirts of Cairo, Giza Necropolis, where the world famous Pyramids of Giza are located. There are three pyramids and the oldest of them is called the Great Pyramid of Giza and is also the Seventh Wonder of the World. It stood as the world’s tallest man-made structure for thousands of years. It has three chambers and the royal chamber is higher up the pyramid. The area, which is near the Nile, also holds the Great Sphinx of Giza, the largest monolith statue in the world that was built in the reign of Pharaoh Khafra. The monuments here are simply amazing and mind-blowing. Going back to my hotel, I am still not over the rich history of the Egyptians. Day three:The first visit for the day will be another historical site, Mokattam hill, which is near the centre of Cairo. Saladin of Citadel is the first historical site that I visit. It is rich with history. This massive area was fortified by Salah al-Din between 1176 and 1183 AD to protect the people from the Crusaders. 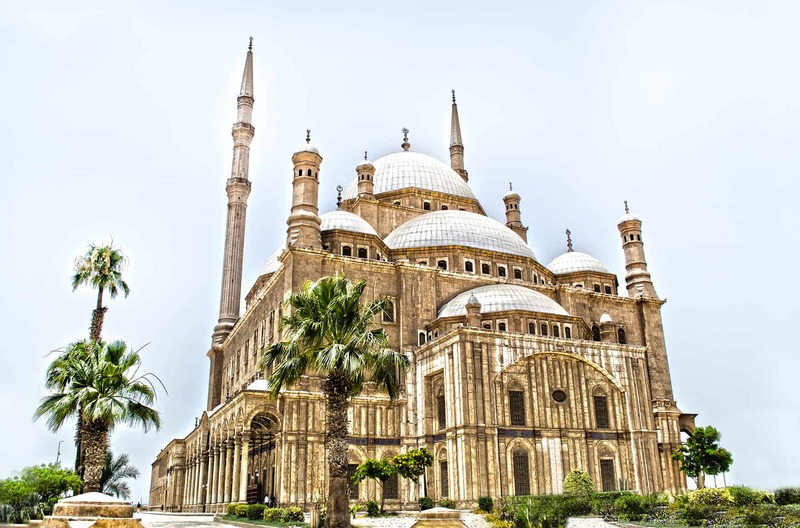 Apart from the museums in Citadel, there is also the Great Mosque of Mohammad Ali Pasha, also known as Alabaster Mosque. Looking at the huge crowds, there is no doubt that this is a favourite for many tourists in the Citadel. The mosque architectural design and finishing is simply mind-blowing! At lunch, I decide to indulge in the local Egyptian cuisine. I had to eat the most common food in Egypt known as fuul. You can easily find it in the streets of Cairo. After lunch is a tour to the Egyptian churches which are famous for pilgrimages. The first church I visit is the Abu Sarga, also known as Saints Sergius and Bacchus. It is a coptic Church in Cairo. It is believed that the church was built where Mary, Joseph and baby Jesus rested when their journey to Egypt came to an end. I also visited the Hanging church, which was built 3 AD. 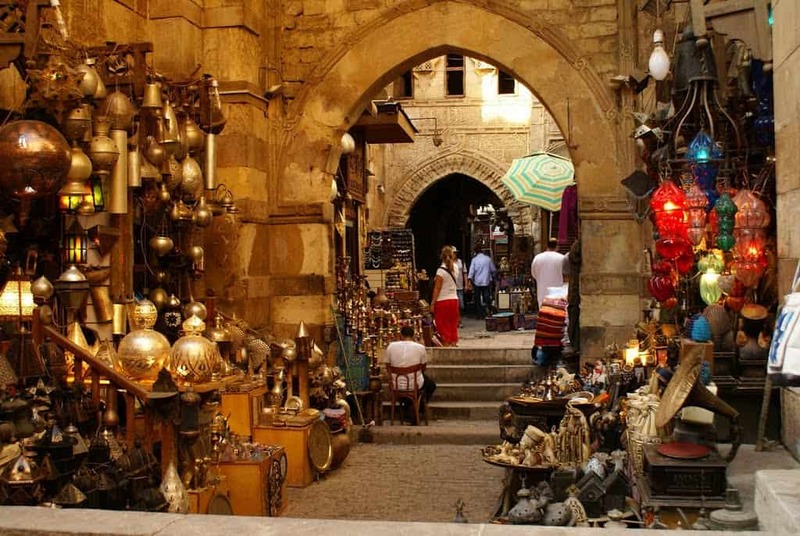 After this great ancient history tour, I head out to the Khan El-Khalili, a famous old Cairo market, to shop for souvenirs and jewellery. The market place also has restaurants and coffee houses. Day Four:You can never get enough of Cairo. In the air conditioned tourist van, my guide and I head out to Dashur, South of Cairo for my next history lesson. Dashur is basically a desert and I can see tourists on camels having the ride of their life, literally. There are two pyramids known as Bent Pyramid and Red Pyramid. The Red pyramid is the world’s first true pyramid. It has smooth sides and is the third largest of the pyramids in Egypt. With Bent pyramid, well lets just say that something went wrong with the plan and it did not attain the intended shape. Nearby is the Black Pyramid which is badly eroded.Later in the afternoon, my guide and I head out to Saqqara to see the Pyramid of Djoser. This pyramid is unique in that it has six mastabas or ancient tombs. Next, I was taken to the Pyramid of Texts which is inside the Pyramid of Teti. The pyramid of Texts has the oldest religion texts written in Old Egyptian language. The texts were carved on the walls of the between 2400 – 2300 BC. That marked the end of my tour. I spent my last day in Cairo shopping and savouring the different cuisines that Egypt had to offer. Cairo is an amazing city that everyone has to visit. It’s rich history will take you aback, at least it did with me. I promised myself that I would be back for the Great Nile Cruise, which is another major tourist attraction.